Thank you for your interest in one of Okaz Motors's online offerings. 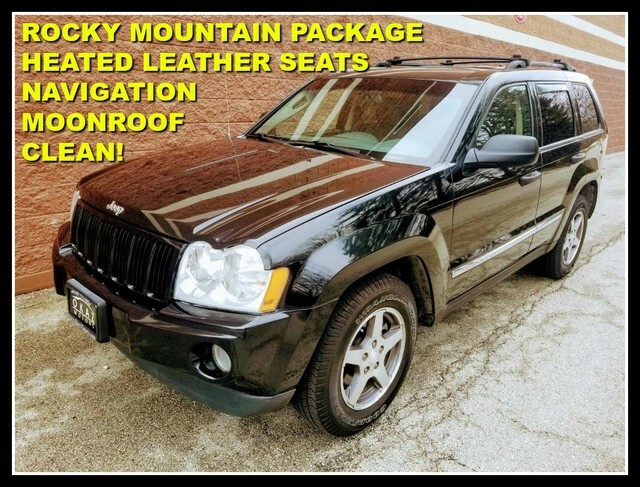 Please continue for more information regarding this 2005 Jeep Grand Cherokee Laredo with 84,600mi. CARFAX BuyBack Guarantee is reassurance that any major issues with this vehicle will show on CARFAX report. Gone are the days of SUVs being the size of a tank and handling like one. This Jeep Grand Cherokee is a perfect example of how SUVs have evolved into vehicles that are as refined as they are rugged. Take home this Jeep Grand Cherokee Laredo, and you will have the power of 4WD. It's a great feature when you need to drive over tricky terrain or through inclement weather. This 2005 Jeep Grand Cherokee has such low mileage it has been parked more than driven. This vehicle includes important services and maintenance records, so you can feel more confident about your buying decision. This wonderfully maintained Jeep Grand Cherokee is in the top 10% of its class when it comes to cleanliness and condition. Some vehicles are more of a need-to-have. This one is a absolutely-must-have. If it's looks aren't enough to persuade you, the feel of the powerhouse under the hood most definitely will. When this vehicle was shipped from the factory, Jeep decided that no option should be left off of this magnificent automobile. So, if you're in the market for a Jeep Grand Cherokee Laredo that is equipped with copious amounts of options, then we may just have the perfect vehicle to suit your needs. Added comfort with contemporary style is the leather interior to heighten the quality and craftsmanship for the Jeep Grand Cherokee You'll quickly realize how much you will need a navigation system once you are stopping for directions or looking up addresses on your phone instead of looking at the road. This Jeep Grand Cherokee Laredo features a navigation system that will free you of these unnecessary headaches. A perfect find to complement any rare automotive collection. This beautiful lass will turn heads everywhere she goes.